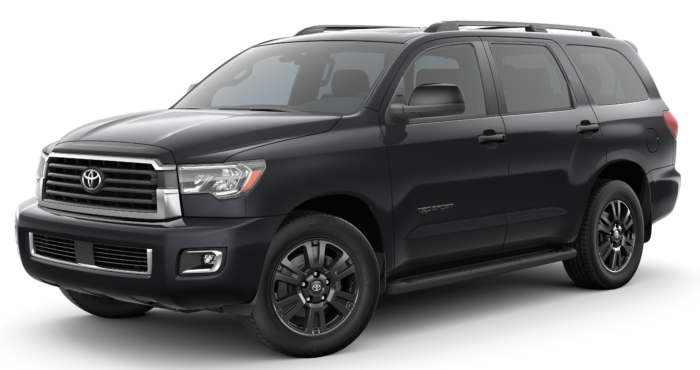 The 2017 Toyota Sequoia should meet the demands of anyone in search for a large SUV, as it boasts plenty of power, cargo space, and high-end features. Whether you have serious cargo space needs, a big family, or both, the Sequoia will offer you enough space to comfortably get you through your next trip. 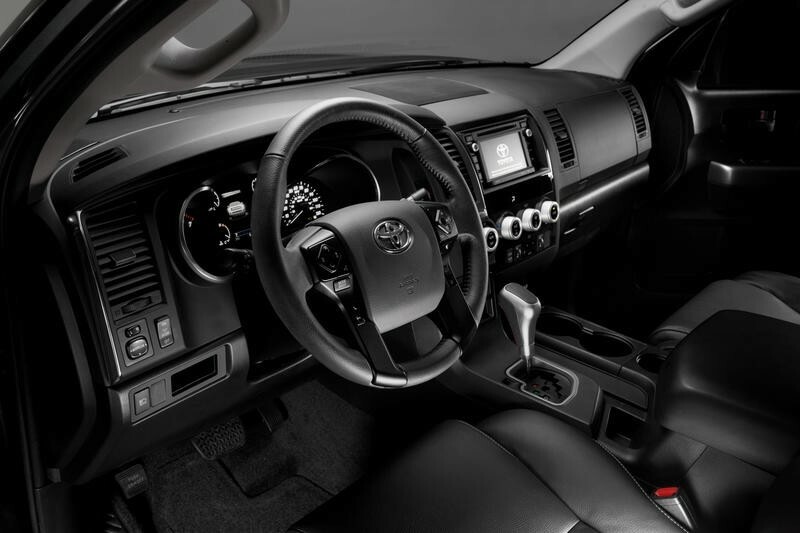 The large Toyota SUV has a very affordable price point for its class, starting at an MSRP of $45,560. Considering its status as a large SUV, its 13 city MPG and 17 highway MPG remains fairly standard for a car in its class. The Toyota Sequoia also gets an above average 3.5/5 durability and reliability rating by J.D. Power & Associates. In the end, the Sequoia remains one of the best large SUVs on the market, because of its super-utility functionality that continues to exceed the expectations of prospective buyers. Looking at the tech and features the Sequoia offers, you and your passengers will surely be satisfied with each drive you make. Similarly to other Toyota models, the Sequoia comes with a variety of safety features including blind spot monitoring, brake assist, lane departure warning, and a rearview camera. 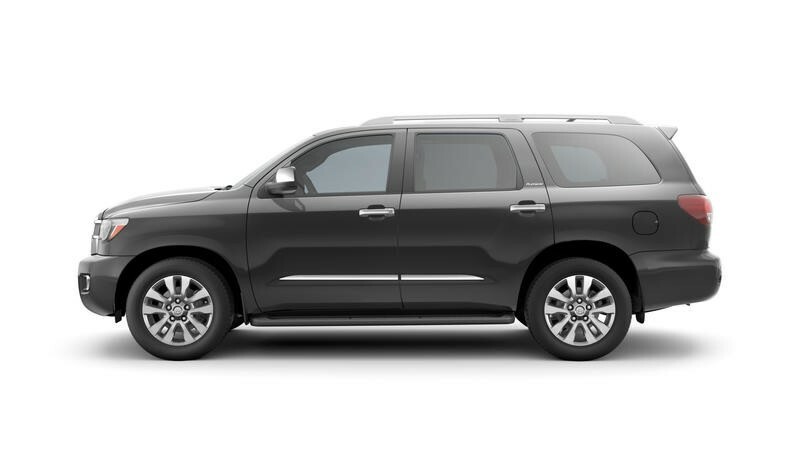 To go with its great set of safety features, Toyota gives Sequoia a wide variety of tech designed to improve driver and passenger experiences. The large SUV comes with standard tech like Bluetooth audio, a 6.1-inch infotainment system Siri Eyes Free (hands-free voice command), a sunroof, and a smartphone integrated navigation app. More advanced models carry leather trim, an integrated garage opener, a backseat Blu-ray entertainment system, an Entune app suite, and more. These features are sure to turn driving from an obligation into a luxury. 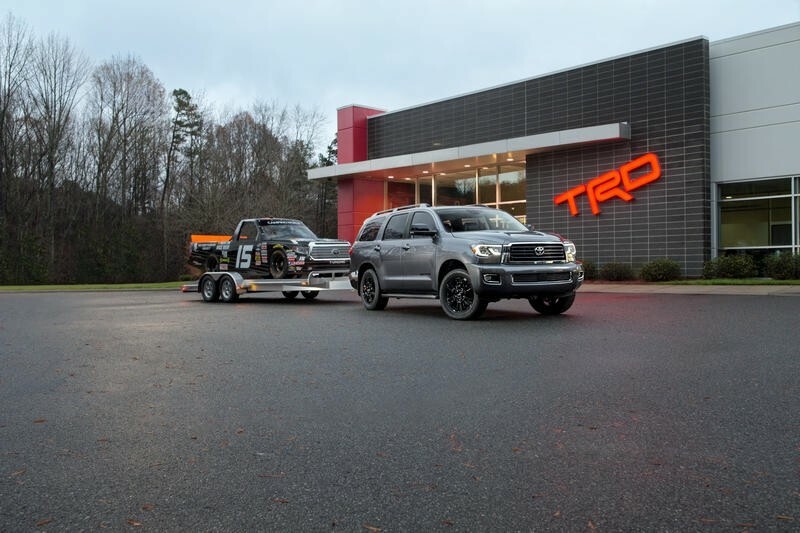 Considering performance, the sequoia comes with a standard V8 engine that provides ample power, and has a 4WD option for those concerned about traction. 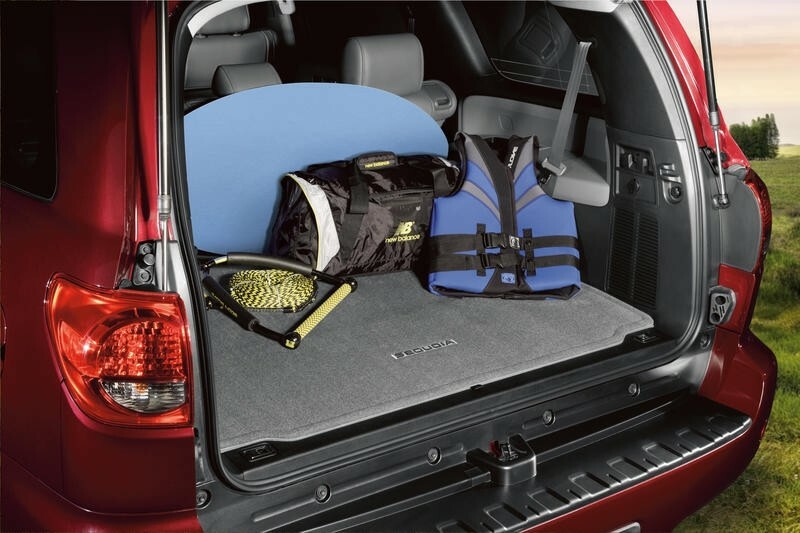 In addition, the Sequoia has plenty of cargo space with three rows of seating, and foldable second and third row seating to create even more space for your belongings. To gowith with its incredible résumé, U.S. News & World Report ranks it an impressive 8/10 for a car in its class. 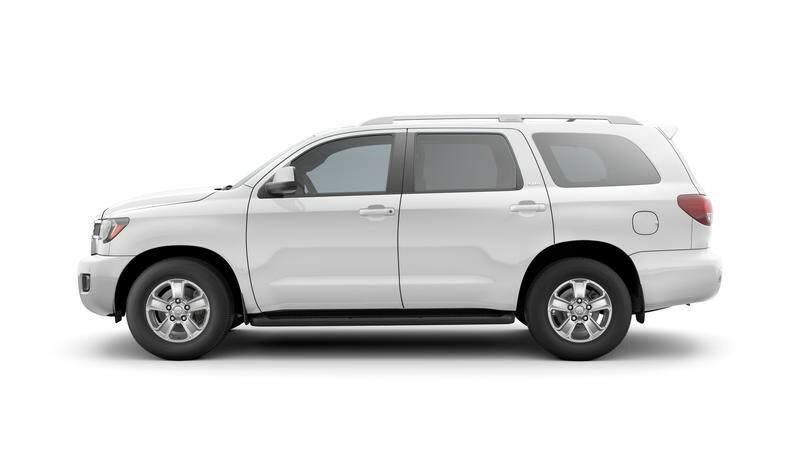 Overall, the Toyota Sequoia gives drivers in the market for a large SUV a variety of reasons to make it their next car.